Set the scene for a cozy night’s sleep in this warm and inviting platform bed. The headboard top is ever so slightly curved for a modern touch, while detailed stitching runs up and down along the headboard. 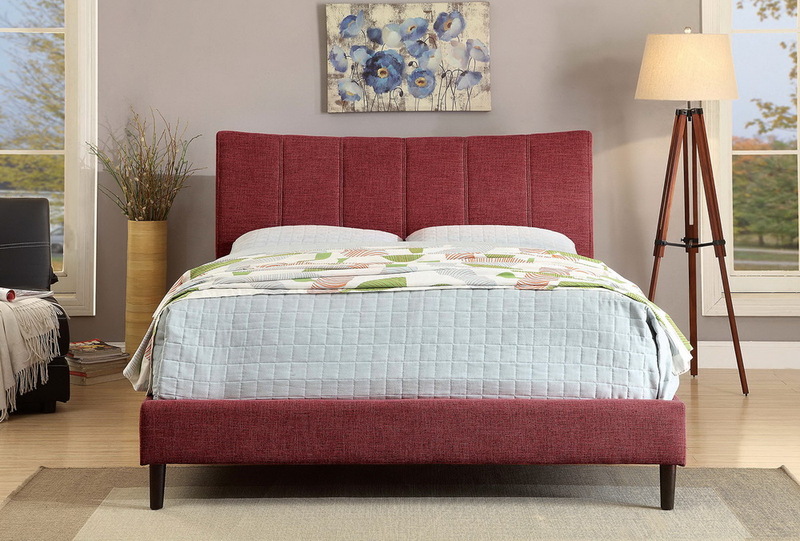 Padded and upholstered in linen-like fabric, this bed makes for an attractive piece and a relaxing oasis.